AHMC Anaheim Regional Medical Center's medical staff and employees strive to serve each and every patient on all levels on the continuum of care, which includes preventative measures, diagnosis, intervention, treatment, rehabilitation, and post-discharge services. It is the highly skilled and patient-centered care provided by our clinical staff that allows us to take care of our community, providing our patients with high quality care. Our physicians believe that through their work, in a collaborative setting, they can work with you to achieve optimal health. Alongside our physicians, our group of diverse and highly qualified medical staff who ensure that Anaheim Regional a warm, caring, and compassionate environment. Our clinical staff is eager to help and assist you with any questions that you may have regarding our clinical services. To learn more about a department in particular, please click the corresponding link below. If you have questions specific about a department, please contact it using the phone number listed at the bottom of the specified department's page. 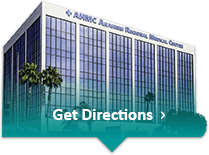 If and when you should need medical care, AHMC Anaheim Regional Medical Center will be there and ready to assist you in any way possible.